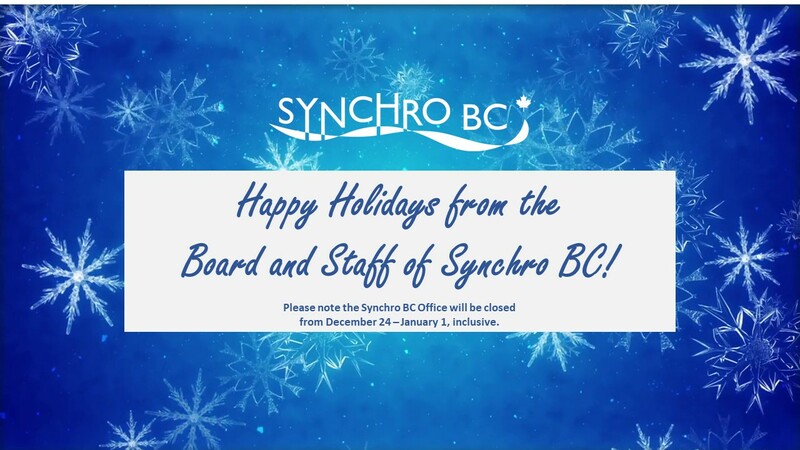 Synchro BC is the governing body for synchronized swimming in the province and a passionate organization of athletes, coaches, officials, staff, and volunteers who believe in the power of sport. Synchro BC is pleased to announce the artistic swimming athletes who will represent British Columbia at the 2019 Canada Winter Games in Red Deer, Alberta. Sign up to our e-mail list to recieve the latest news, updates, and resources.